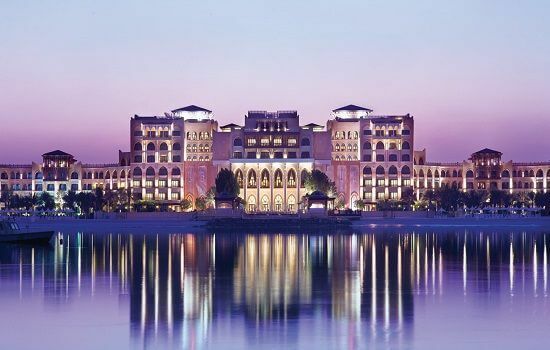 On the banks of the Grand Canal, one cannot fail to be impressed on arrival at Shangri-La Abu Dhabi. The Arabian style architecture is reflected in the water to give the illusion of an ancient palace. This is a large complex and the hotel is connected by a series of winding waterways featuring Arabic traditional boats, known as abras. Sit back and relax, while the abra slowly meanders along its course. One stop that is a must is the souk, a traditional Arabian market, with a variety of stalls selling gifts, jewellery and clothes. The Shangri-La has a choice of 213 rooms, all with a balcony or terrace and views over the canal. There’s a choice of nine bars and restaurants, plus a spa, health club, outdoor pool, Jacuzzi, sauna, steam room and massage. 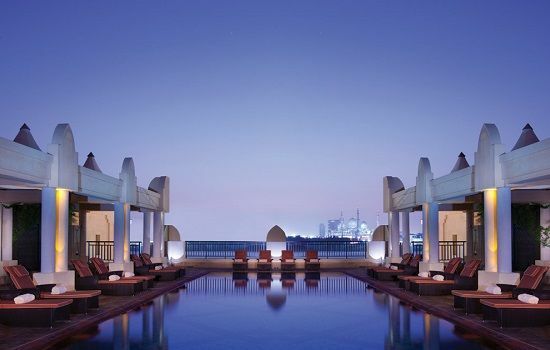 The hotel is 20 minutes by car to both Abu Dhabi International Airport and Yas Marina Circuit.